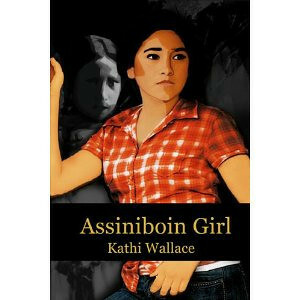 In the book Assiniboin Girl , Mary Two Dogs' parents die and she goes to live with her Aunt Janet, a woman she barely knew. New York was her home and now she lives in a backward Georgia town. Her Aunt is a FBI agent working undercover to solve a string of racially motivated murders. Janet fears for Mary's Life, so she sends her to her adopted grandmother on the Rez. Mary does not know anything about her people, her grandmother, and the reservation. Mary did not want to go because she met a nice boy but Janet was determined to protect Mary. Montana isn't like any place Mary's ever been. Mountains to the West, acres of rolling grassland to the East, and strange people who speak a language she's never learned...but their speech is slow and gentle, like her parents' after a bottle of wine, and they welcome her like a lost child. Mary's adopted grandmother determines that Mary needs to learn who she is and where she belongs, so Mikusa teaches her how to build her own sweat lodge and find herself, and in doing so, Mary learns more than she expected. Mary's introduction to the ways of her people gives her strength to face the future when Janet is found brutally beaten. Together, Mary, Mikusa and Mary's new uncle, Frank Spotted Pony, race to Georgia to be by Janet's side. There, Mary discovers that Steve, the boy she liked, is missing and Janet might die. If she does the murderer may never be found. What good is finding her place among her people if everyone Mary cares about leaves her behind? What a great book and it taught me a little about the Native American culture. While living with her Aunt, Mary was always bullied because she looked and acted different. When she went to the reservation, she learned things about her self and her heritage that made her stronger and she was able to face her fears. The book combined spiritual and mysterious themes with a little bit of romance that makes it a great read especially for the YA reader. 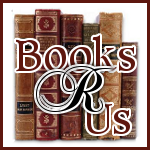 I look forward to reading Kathi's newest novel Keeper of Memories . Disclaimer: I received a free digital copy of the book from the author for my honest review and I was not compensated for my review. Thank you so much! I am so glad you enjoyed the book!